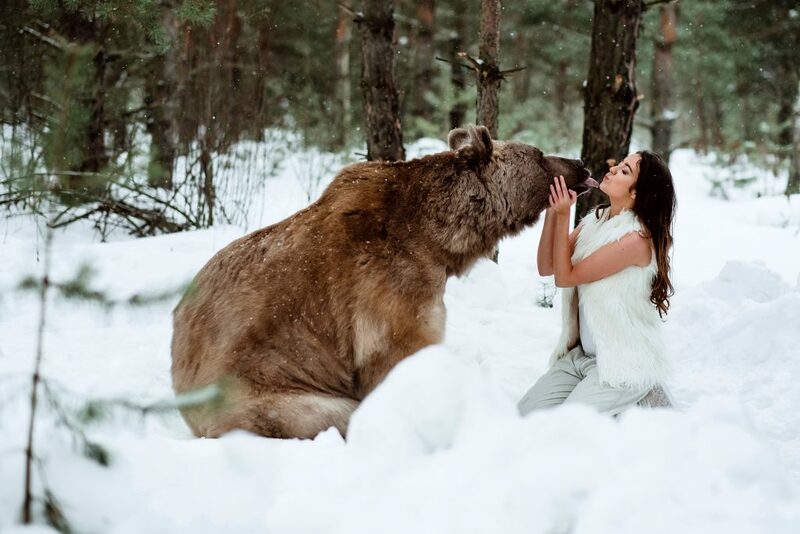 Bloggers have been slammed for posing with a giant tame bear to get the ultimate social media shots. 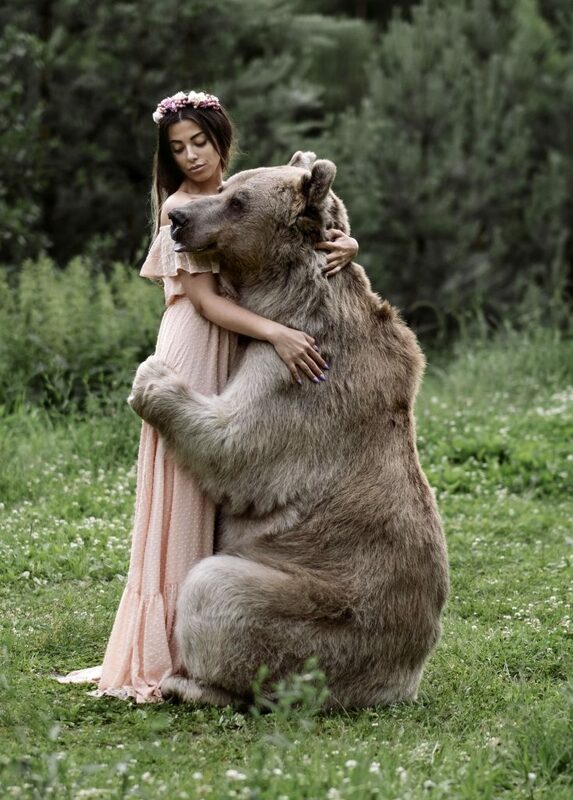 Instagram-famous domesticated Russian bear Steppan lives on a sprawling Moscow property with his owners Svetlana and Yuriy Panteleenko. 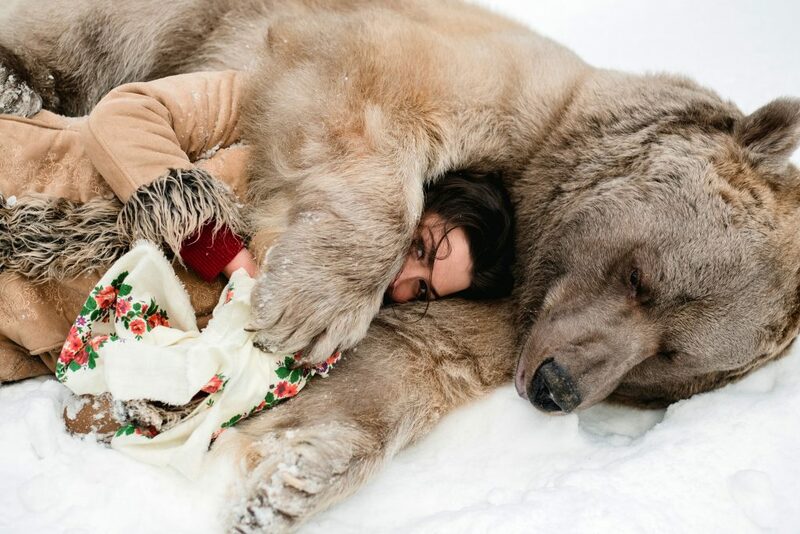 In recent years the 26-year-old, 350kg bear has become a social media icon with legions of followers flocking and models using him to boost their own fanbase and is now rarely seen without a bevy of beauties. 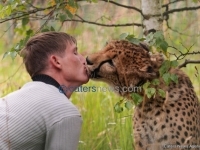 But the trend has been criticised, with animal rights advocates warning so much human contact could be inappropriate. 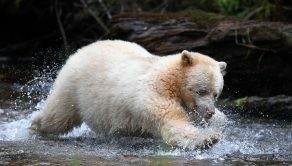 Svetlana and Yurij insist they saved the bear and he has a much better quality of life than at a zoo or circus. 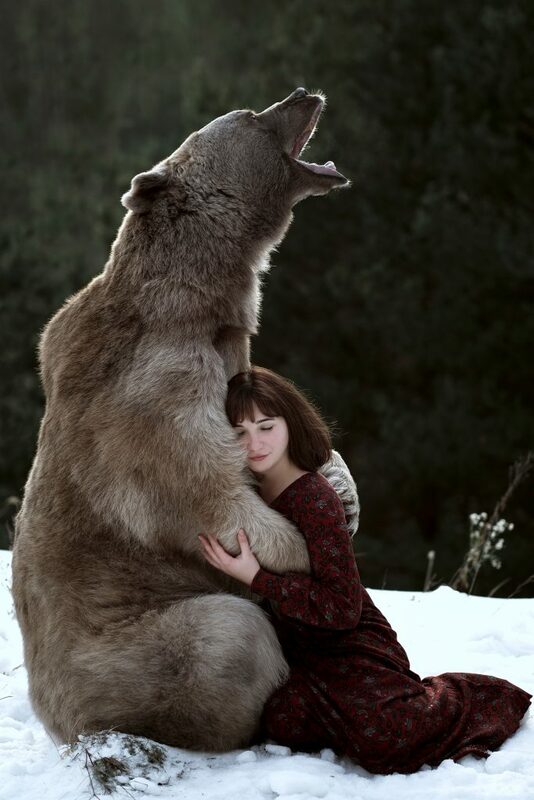 Svetlana, a professional animal trainer, said: “We actually saved this bear. 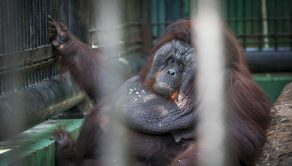 “He had no chance to be reintroduced to the wild and he was facing the zoo or the circus. 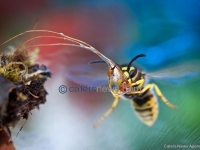 Yuriy added: “People have plenty to say about cruelty when they see photographs. “But we ask these people what they are doing to help the animals. Adopting homeless cat or dogs? It’s always easy to give recommendations than to do anything themselves. “At the same time they eat meat, wear leather cloths and do hundreds of other things that harm the natural world. “No one thinks about how nature is affected from the use of petrol, excavating of ore products and deforestation. “So instead of saying we’re cruel, how about doing something yourself to help, like switching your TV off and saving electricity. Photographer Olga Barantseva, who snapped the shoots over the past year, said she was honoured to put Steppan on the world stage. She admitted models are sometimes scared on the shoots but said Steppan is a friendly giant and no one has ever been harmed. 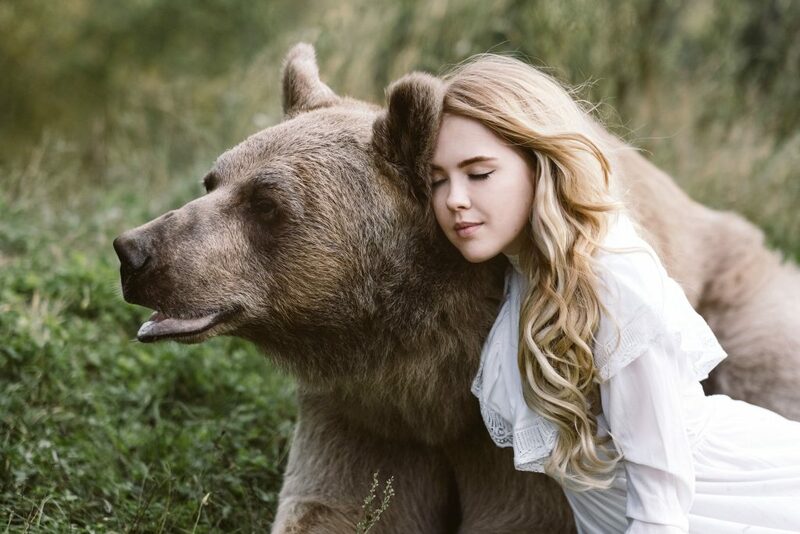 She said the shoots are inspired by Russian fairytales and she hopes to illustrate through them that humans and animals can live in perfect harmony. 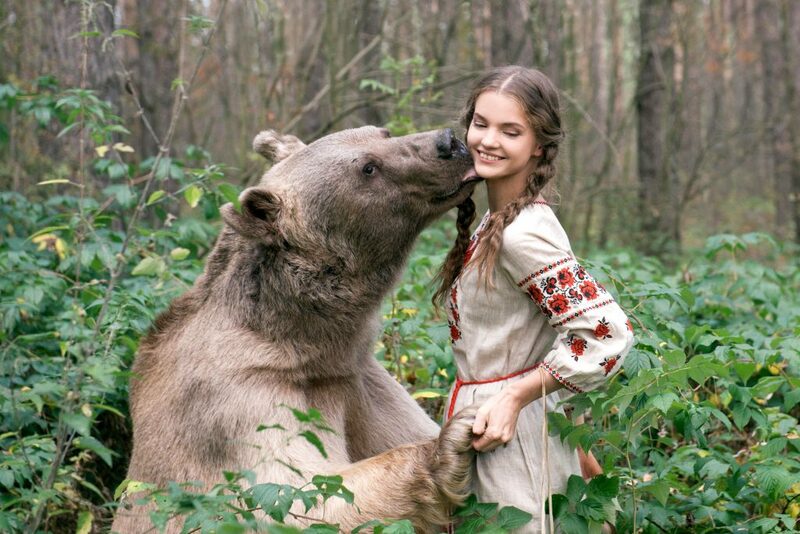 Olga said: “Thanks to the media the bear became a star and now many people around the world want to fly to Moscow for photographs with the bear. “I have already shot people from Japan, China, Thailand, Austria Switzerland, Mexica, India. “Now, we are in talks with some people from the UK and US. “He is really friendly and loves hugging for instance. People often compare him with a very big dog. His owners did all they could to grow him friendly. 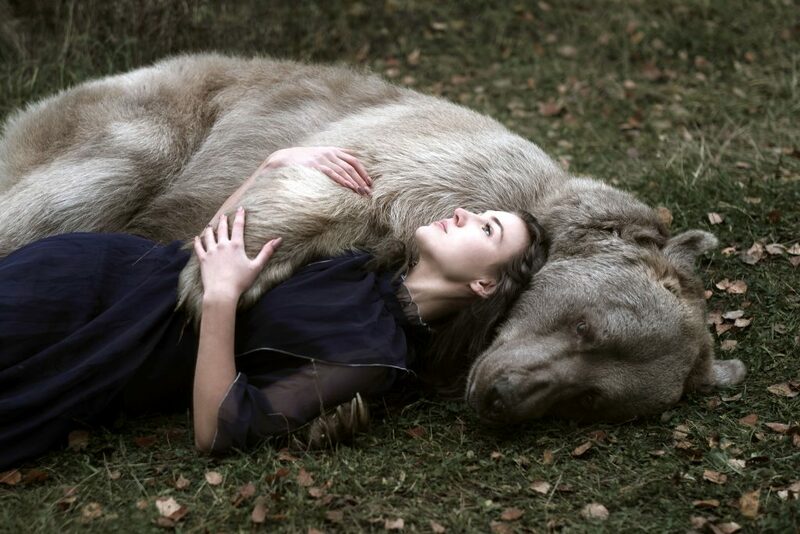 “I’m inspired by Russian fairytales – as they usually full of love and kindness. A world where people and nature live in harmony. 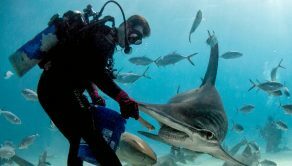 But Georgie Dolphin, Humane Society International’s Program Manager for Animal Welfare in Australia, suggested it was time animals stopped being made to entertain humans. 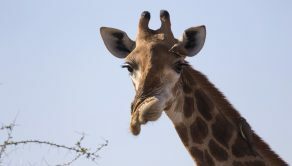 He said: “Wild animals have no place in entertainment. 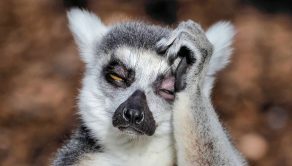 Dr Jade Norris, from the RSPCA, said: “Many wild and exotic animals’ social, physical and behavioural needs cannot be met in unnatural environments and captivity. 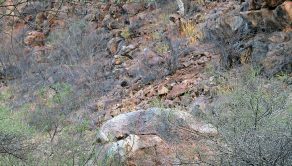 These animals sure know how to play hide-and-go-seek!